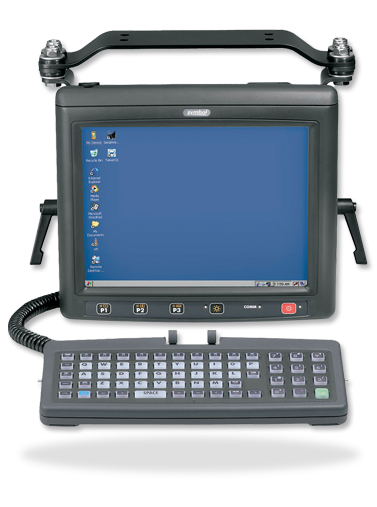 The Motorola VC5090 Vehicle/Fixed-Mount Mobile Computer from Motorola and Symbol Technologies combines rugged construction and high performance wireless networking to enable real-time data access and collection in the harshest environments — from the loading dock and freezer to the warehouse floor. Contact us today about buying, servicing, renting or selling Motorola VC5090 gear! Whether your workers are on a forklift, at a fixed station or moving through the warehouse aisles, the Motorola VC5090 provides the tools needed to increase productivity and reduce errors in shipping and receiving, as well as put-away and picking applications. The results are improved decision making, streamlining of warehouse operations — and a positive impact on your bottom line. Contact us today about buying, servicing, renting or selling Motorola VC5090 gear!